Are you aware that there are special standards regarding school buses which need to be followed by every school? School Name and phone nos. RFID tag for parents or guardian who come to pick up kids. 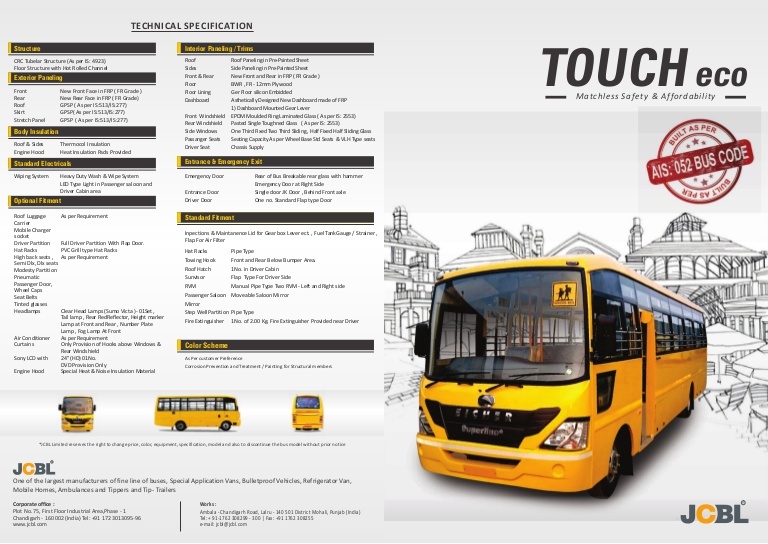 All the school bus manufacturers comply with these features and aim to provide the best school buses. But do you think these are good enough for the children? We know that safety belts are compulsory in the cars, but still they don’t find any room in a school bus? Maybe because school buses are considered safe without seat belts or is it a neglected issue. We should identify any potential risk from all corners to safeguard our future generation. Why School buses don’t have Seat belts? There are two conflicting sides to this question; we call these sides -schools of thought who have their own review on the installation of seat belts. Recommended: Why School Buses Are Safer Means Of Transport For Kids? Buckling up at early ages in the school bus can go a long way of ensuring safety habit and kids can understand the importance of safety and security. There is safety and security automatically attached to it and driver can focus better on driving. This will ensure that the kids are seated and not running around in the moving bus. This might also be a way to mitigate any litigation in case of any unfortunate mishap. Parents, drivers and the school authorities will have some peace of mind. School buses are as it is built and designed taking care of all safety precautions. So, safety belts will only increase the cost of the school bus without added any safety value. On the contrary, it might be dangerous in an emergency situation, as it might delay in the evacuation process. Height and weight of a School bus are designed in a manner that it can absorb any shock in case of an accident. Compartmentalizationdesign holds the kids safely just like eggs in a carton, protecting them from shocks and abrasions. Seat belts can be misused by the children as either a playful toy or as an instrument to hurt other kids. All the kids don’t have a similar structure, weight, and height. Seat belts might fit some children perfectly while others might be just hanging in them. So, in an event of a crash, there is more probability that the students who have loose seat belts might hit the other students causing double injuries. It has also been seen that lap belts have many a time incurred more injuries on necks due to a head-on collision. Here, nobody can be stated right or wrong in his or her thinking because safety and security is their main concern. If we notice, then cons out rule the pros. On the face of it, we can easily suggest that the school buses are safe without the seat belts and there is no need to invest in seat belts in the school buses. 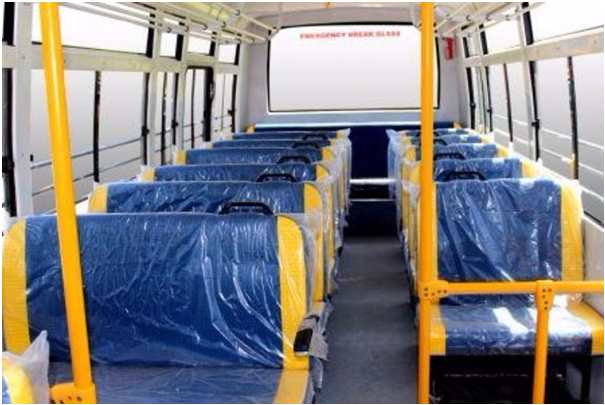 Must Read: Why Happy Bus Is The Safest School Bus? This incident opens our eyes and shows us the dark side of not using the seat belts as an extra precaution in need of an emergency. But we also know that such incidents do not happen every day. With strict laws in India permitting speed limit of 40 Kmph for School buses and installation of speed governors, the safety quotient has increased. Currently, in India seat belts in school buses are not compulsory due to the safety and security imposed through our stringent standards listed in AIS: 063. 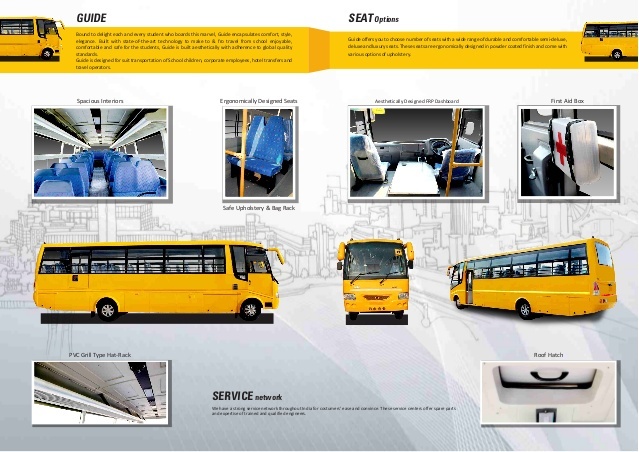 Safety has been endorsed to the core with the design, the speed, and types of seats, emergency exits, and many more. The main feature that stops the crash after effects is the “compartmentalization” which packs kids like eggs in the shells which minimize the impact of an injury. For this purpose, the seats are cushioned along with a high back which helps to absorb the impact. These seats have strong anchorage and are spaced closely together to create compartments. This design with special compartments absorbs the impact scattering the impact throughout the body rather than restricting it to the neck. For this reason, the compartmentalization model is generally more favoured than the seat belt model. Safety seat belts in school buses will only add redundancy, along with extra cost. So after calculated discussions in many committees in various states, seat belts have not been installed. 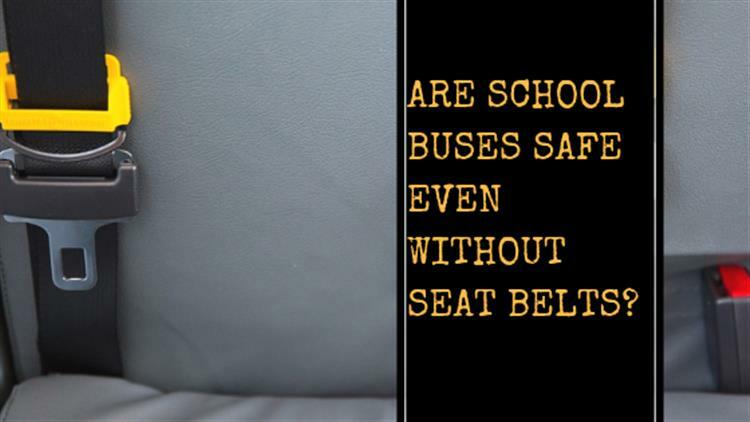 What are your thoughts on an installation of safety seat belts in school buses in India?